What we do is add a Banking standard service wrap and Enterprise functionality wrap around SMS gateways. That’s it in 10 words. We do other stuff, but core to our Products is “Communications Engine” – something we have been developing constantly and running in production with millions of messages for over 10 years. When Telrock started doing SMS over 10 years ago, in order to provide a reliable service it was necessary to manage multiple aggregators and direct connections so we could switch, when any aggregator or their upstream connections were down, or to get delivery coverage to certain countries. That was the challenge 10 years ago; managing around the flakiness of SMS aggregators, unreliable Operator throughput, gray routes sold as premium routes, fake delivery receipts, and temporary gray routes disappearing. Problems still occur, particularly in some countries but the reputable aggregators have got a lot better and there are fewer problems now. 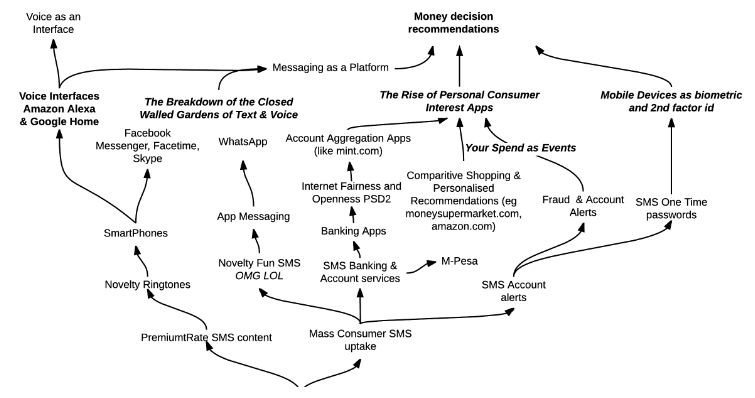 The position of SMS to Banking has changed completely in the last 5 years. SMS was previously considered by Banks as a cute alerting method. Now Banks can view SMS delivery as part of the transaction Authorisation. One time passwords by SMS are part of the transaction; if the SMS doesn’t get to the customer – the customer can’t transact. What that means to Telrock is we needed to get Service Delivery to a comparable level of a core Banking system; 24/7 incident management, monitoring, change management, the full ITIL 12 yards. Compliance and regulation has also utterly changed the way Banks view SMS. If customers can’t respond to SMS Fraud alerts, fraud rates will increase, and customer service failures can be a reportable event to the regulator. If the Bank has to report to a regulator, that turns the Banks level of attention on the reliability from 1 to 100. Another change in the view of Banks towards vendor service providers – PCI as a Level 1 Processor, and SSAE16 audits, staff background and credit checks, are table stakes. That’s the consequence when Banks start thinking of an SMS as part of the Auth system. So this change of view of the Banks about SMS has meant the necessary changes to Telrock’s infrastructure, systems and processes, to attain the required level of controls and reliability in our service provision. Functionally, we’ve continued to add Enterprise functionality wrapped around aggregrator’s and combine SMS with other channels. We’ve always been agnostic around aggregators. Even AWS provide SMS aggregation services now, so at an API level, the industry is completely commoditised. The last one – Quality of service measurement is nuanced. For Enterprise services, it may seem unbelievable, but Operators offer no service levels around SMS delivery. Cynically, the reason is that Operators have a monopoly on delivery of SMS to their mobile phone network subscribers. But to be kind to Operators, SMS delivery is ultimately radio communication, so atmospheric interference like wet weather effects delivery. Additionally with quality of service, along side Operators, some activity will be customer driven, so monitoring upstream activity for issues means correlating operating delivery rates, and customer response rates, to create a behavioural model of customers and operators. What is normal customer response rates or customer prevalence to use a service, and what indicates upstream or downstream problems that need investigating? In summary, with Telrock SMS messaging, we bring Enterprise standard service and functionality, to commodity SMS aggregation.